With particular regard to the latter, a few days ago the Financial Times published an interesting article, discussing the case of 'Maasai IP'. 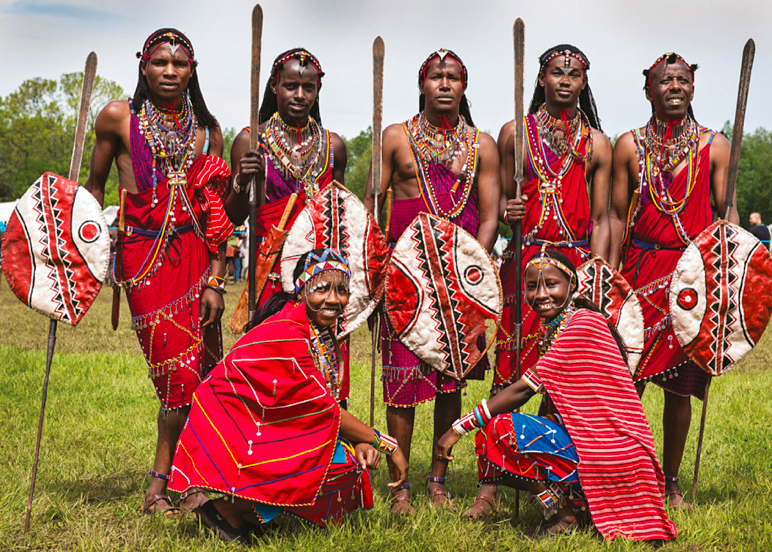 The Financial Times article discusses how awareness has arisen among Maasai as regards effective protection of the name, image, symbols, and reputation of Maasai people. In particular, Isaac ole Tialolo, a member of Kenya’s Maasai tribe, is credited as the initiator of a "more legalistic approach to protecting - and monetising - [the] cultural heritage" of Maasai people. 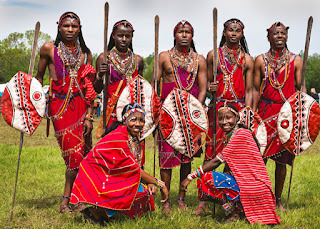 As reported by the article, in fact, Tialolo went from breaking the camera of a tourist who was attempting to take photographs of Massai warriors to initiating and becoming the chair of the Kenyan branch of the Maasai Intellectual Property Initiative Trust (MIPI). MIPI's objective is to reclaim "the Maasai ownership of its famous iconic cultural brand. 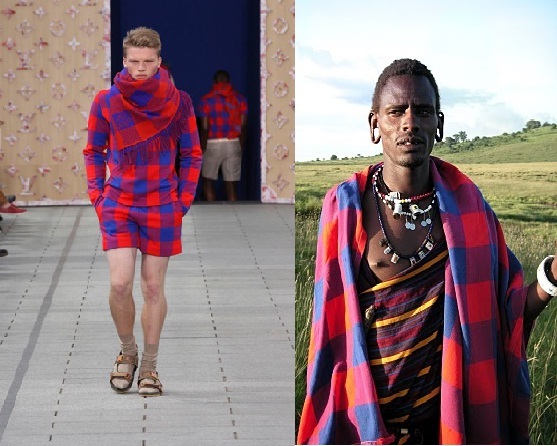 The Maasai name, image and reputation is used around the world on products ranging from cars to shoes, and exercise equipment and is worth billions of dollars" [Washington-based Light Years IP estimates that more than 1,000 companies have used Maasai imagery or iconography without permission, including well-known fashion brands - eg here - and luxury car manufacturers]. With the goal of redistributing licensing revenue among a community where 80% of people live below poverty levels, MIPI intends to increase awareness about Maasai's IP rights and license the use of Maasai's name, image, brand, culture, and artefacts (eg shoes and fabric). Besides actively seeking protection for their IP (eg by means of trade mark registrations) - which in any case might be a costly, complex, and lengthy process - one could wonder whether local laws afford any protection to cultural heritage in the sense intended by MIPI. The answer seems to be in the affirmative, at least in part. Kenya has for instance recently adopted an Act for the Protection of Traditional Knowledge and Cultural Expressions. Both terms - 'traditional knowledge' and 'cultural expressions' - are broadly defined. Protection is granted to every 'community' (to be intended as a homogeneous and consciously distinct group of the people who share any of the following attributes: (a) common ancestry; (b) similar culture or unique mode of livelihood or language; (c) geographical space; (d) ecological space; or (e) community of interest) against any unauthorised third-party exploitation of their traditional knowledge and cultural expressions. However, it would appear that neither Tanzania nor Kenya recognise a self-standing image rights [but readers' insights would be appreciated]. In this sense it is unclear how one could control the unauthorised use of his/her own image, if not by attempting to rely - at least in specific instances - on other areas of the law, eg passing off. Recently the Ugandan High Court issued an interesting decision that to some extent echoes the outcome of the Fenty v Arcadia UK litigation. Overall the case of 'Maasai IP' is part of a broader trend towards the recognition of certain groups' elements of identity as deserving of legal recognition. However, lacking specific legislation, traditional tools may only provide sporadic, limited, and fragmentary protection.